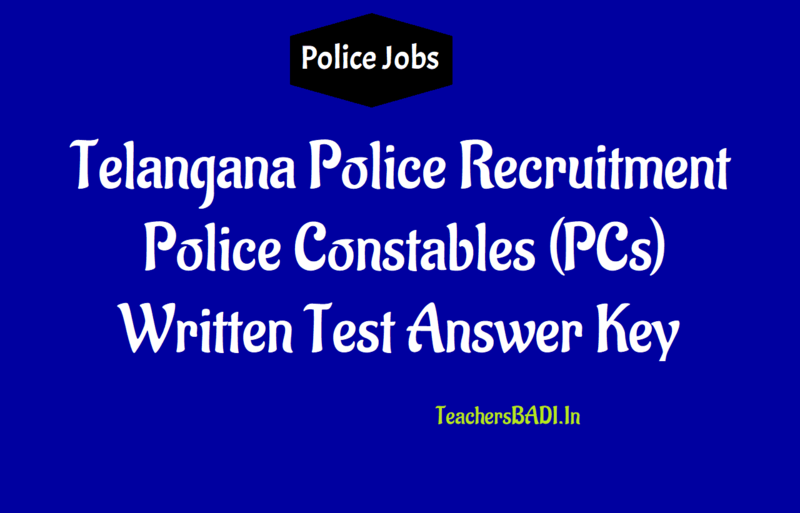 TSLPRB PC Police Constable Preliminary Answer Key, Submit Objections 2018: Telangana State Level Police Recruitment Board issued a Notification on 31-05-2018 for direct recruitment of 16,925 vacancies of SCT PCs Civil and / or equivalent Posts. 4,79,158 Candidates have registered for the said Recruitment and after de-duplication of Applications, total Candidates that were to take the Preliminary Written Test were 4,78,567. The Preliminary Written Test for the Recruitment of SCT PCs Civil and / or equivalent Posts has been conducted in 966 Examination Centres located in 40 Places (almost all the important Cities and Towns) throughout the State from 10 am to 1 pm, on 30-09-2018. The Telangana Police Constable exam was successfully conducted. Now, the candidates who have appeared for the TS Police Constable Exam 2018, are waiting for the release of the Answer Keys. As per latest update available on the official website of the Telangana State Level Police Recruitment Board - tslprb.in - the Preliminary Key for the above TS Police Constable Test will be made available on the official website: www.tslprb.in within a few days time. Candidates will be given 3 days’ time to submit Objections, if any, on Preliminary Key for each question individually in the Web Template made available to them in their respective Accounts. Check the copy of TS Police Constable Answer Key notification here. However, the Telangana State Level Police Recruitment Board did not mention the exact date of the release of answer keys in its notification.